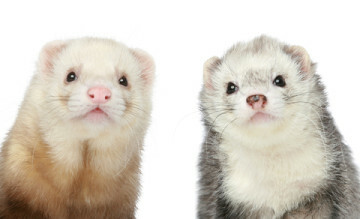 Number of Ferrets Facility & Foster Homes Can Accommodate: Maintain a limit of 10 ferrets within each foster home; Maximum number of ferrets that can be accommodated is about 50. Square Footage Dedicated to Ferrets: Each home is required to have 1 approximately 10×12 sq ft room dedicated to housing fostered ferrets. Nyota’s Second Chance For Ferrets operates as a private, non-profit, fostering rescue and adoption network out of 3 locations: Barling, AR; Little Rock, AR and Grain Valley, MO. We do not have a free-standing shelter. Ferrets that are rescued are placed in foster care unil a suitable home is found or live out their lives in our care.